Spring has sprung! Over the past week we’ve definitely noticed a real change in the seasons. Just a look out into our garden and we can see the cherry blossom tree in full bloom and the daffodils dancing in the border. Topped off with blue skies and warm sunshine it really is a beautiful time of year. 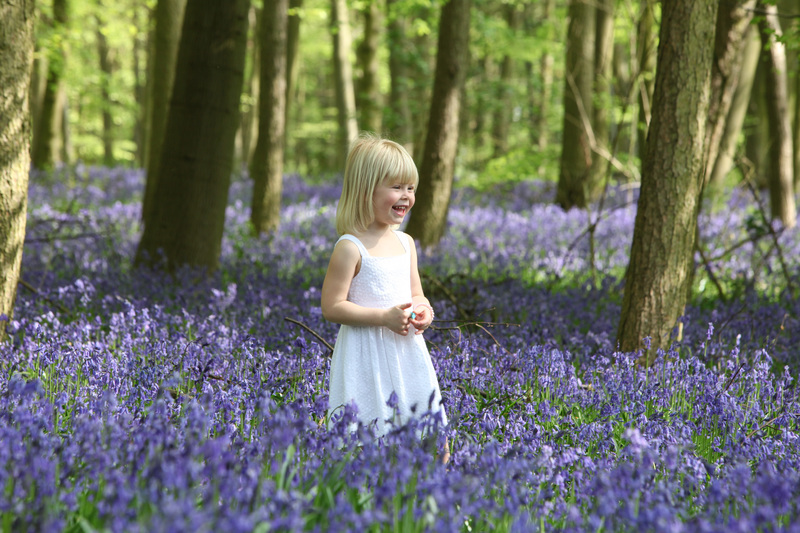 And it won’t be long before those beautiful bluebells start appearing in our woodlands again. It’s coming up to the time of year when we head out to small often unheard of woods on the look out for those wild beautiful bluebells. You can’t beat discovering a small wood with a carpet of bluebells. It makes the perfect backdrop for our family photo shoots. Studio shoots are a great way of photographing families together, getting both young and old members together. These portraits will stand on the mantelpiece or hang on a wall for a lifetime. Timeless memories that families can cherish. However we also love capturing natural moments. Recording those candid moments which are just never quite the same when forced or posed. 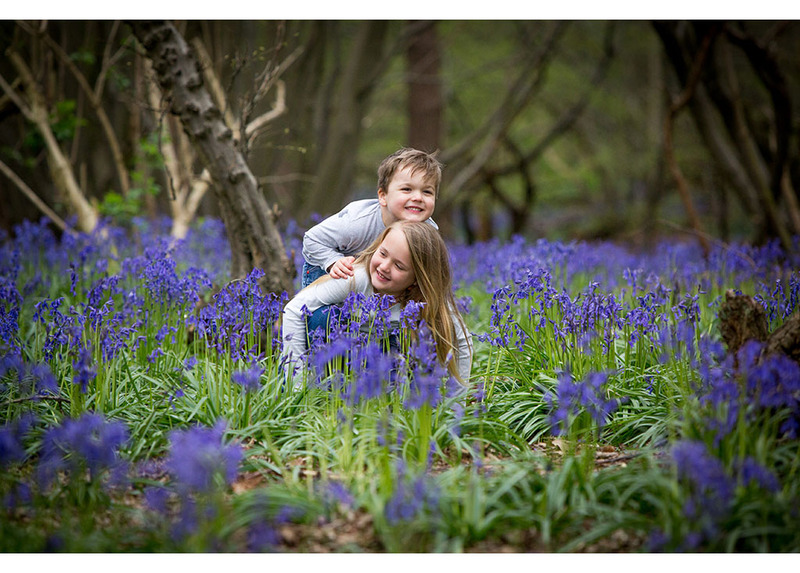 That’s why every year we take on commissions to photograph families playing in the woods. Children are so much more comfortable in the great outdoors. Whether it’s balancing on a branch, looking for insects or collecting sticks these are the images where we are able to capture a child’s character. Very often they are not even aware of us taking photographs and it certainly doesn’t feel like a photo shoot to them, they are simply playing. We were once asked to photograph a little one to celebrate her christening. 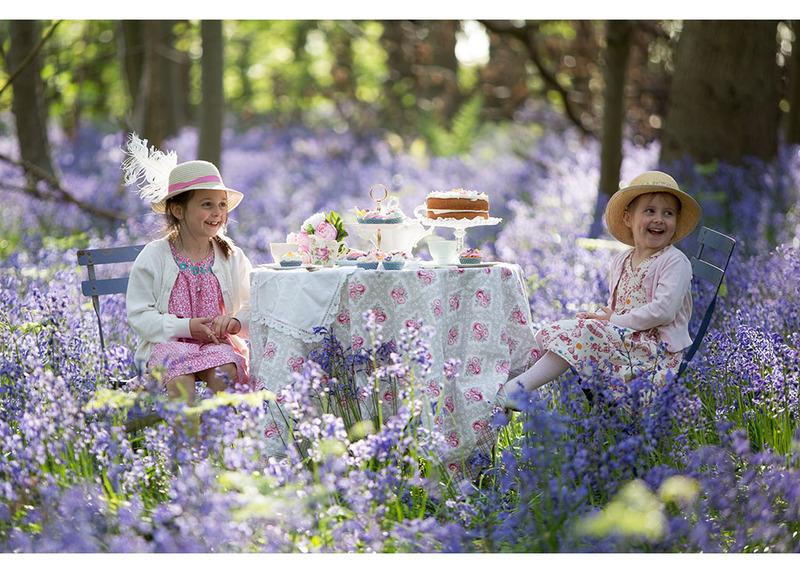 We suggested using the beautiful bluebells as a setting for the shoot as luckily it was at the perfect time of year for this. 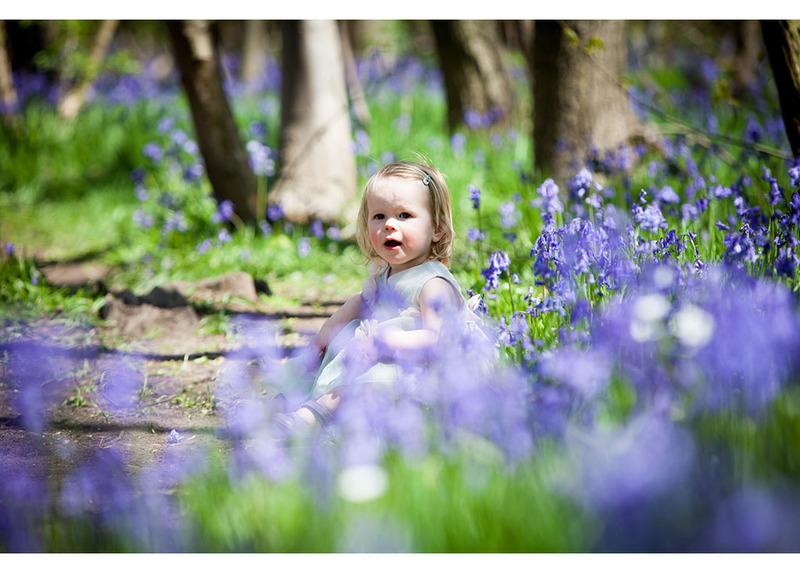 Dressed in her extra special christening gown surrounded by bluebells and shards of light beaming through the trees she really looked like an angel. We were also approached by a local cake shop owner to photograph her daughters. 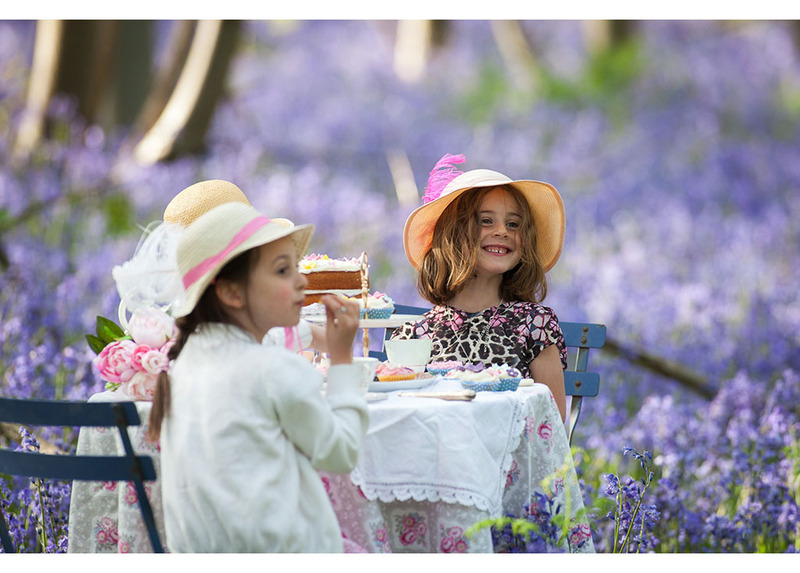 We thought it would be absolutely perfect to set up a woodland afternoon tea amongst the bluebells. 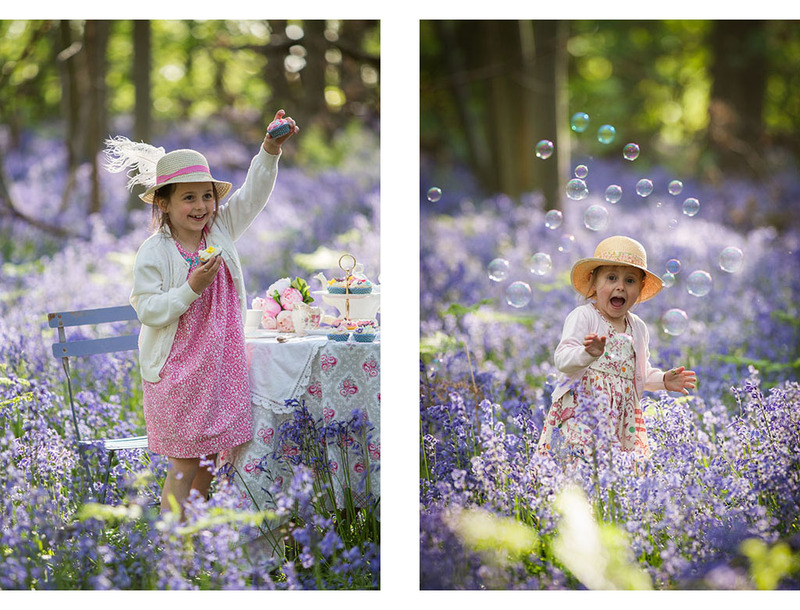 The girls had such fun pouring tea from a china tea pot, eating cupcakes and chasing bubbles. They totally forgot we were even photographing them. 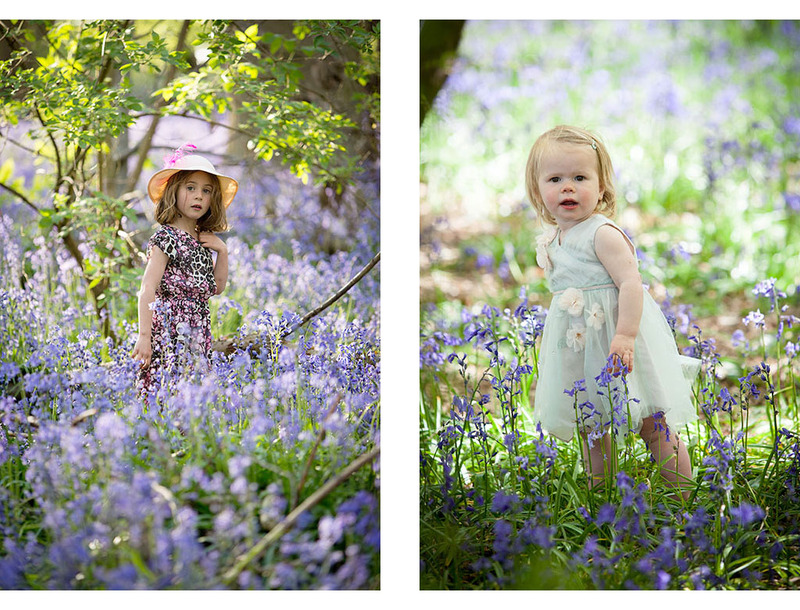 Our beautiful bluebell photo shoots. With Mother’s Day just around the corner (it’s on Sunday 26th March in case anyone needs a reminder) how about booking us to photograph your family? These images will remain as special memories long after that bouquet of flowers has wilted. We offer hour long sessions. This gives us a chance to meet you all, have a little chat and there’s no need to feel rushed as we can have a little wander without worrying about beating the clock. 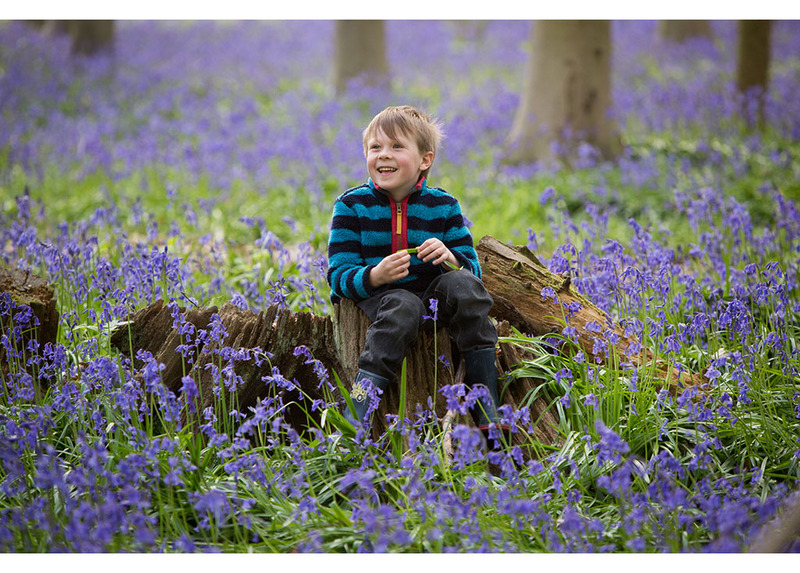 All our bluebell photo shoots include a beautiful wooden keepsake box with a USB of all the edited print ready images and a selection of fine art prints. Bluebells appear from late April to early May. Each and every year it is slightly different depending on the weather. 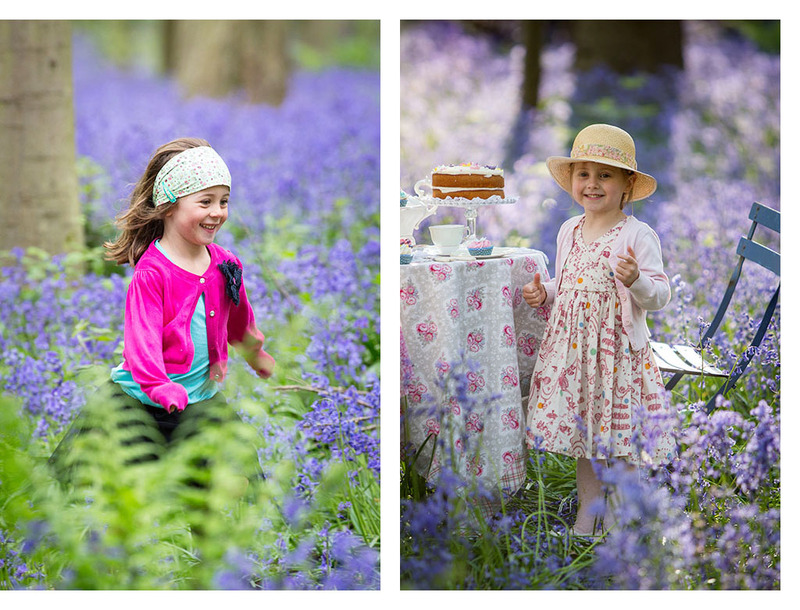 We hope you enjoy looking through a selection of our past bluebell shoots. 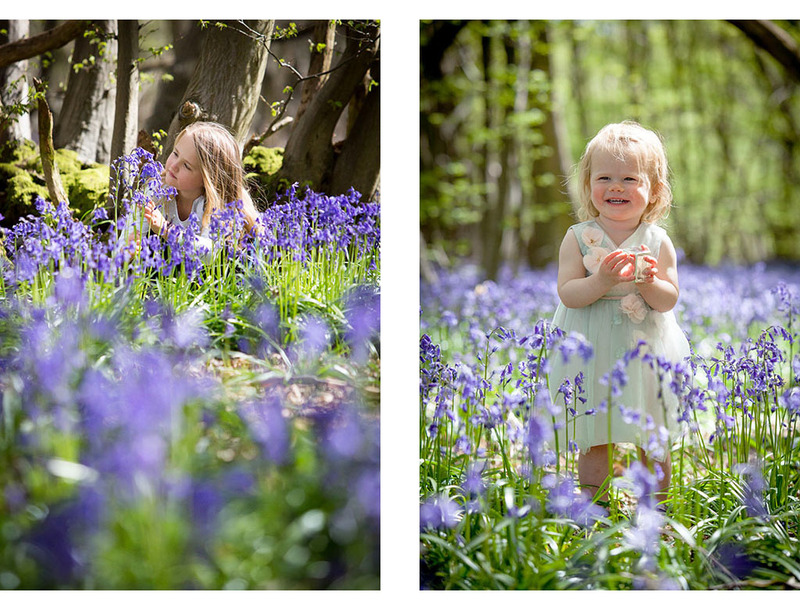 Category: Bluebell Photo Shoot, Bluebell Portraits, Child Photography, Family lifestyle shoot. Hello how much is this photo shoot ? Thank you for your enquiry Denise. I have emailed you with all the details and prices. Any more questions please do get in touch. Have a super weekend.